This is the front cover of a pocket timetable. 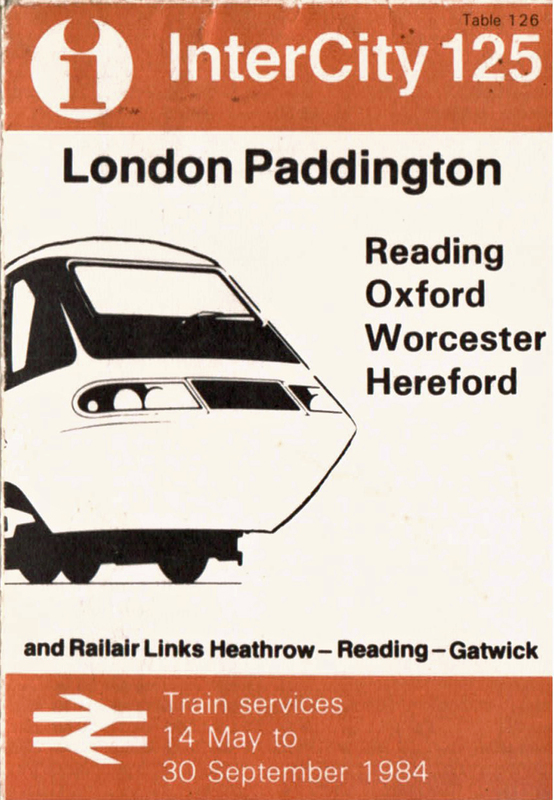 The drawing is appropriate as from the 14th May 1984 the first HST's started to appear on services from Worcester to London Paddington. 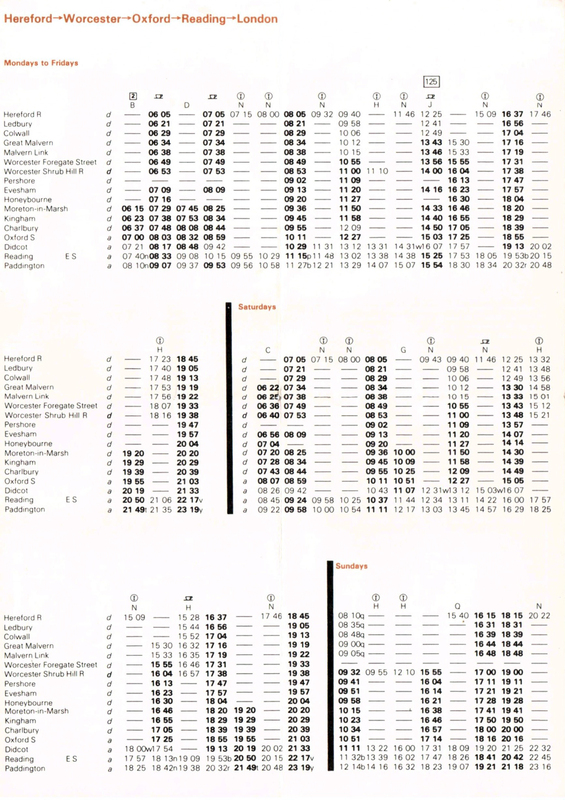 This is the complete timetable for all of the through services. 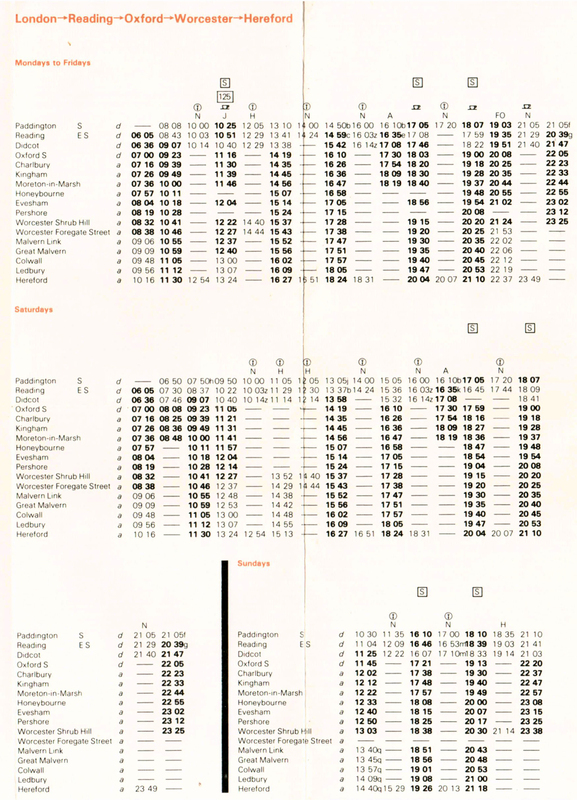 Note the unusual layout with the destinations along the top.